Loyal customer Everett Gray brought his Ford V-10 powered '32 to Louisville this year. Everett's ride garnered a lot of attention all weekend and no doubt was the only Ford V-10 powered ride there. Herb Stuart built a nice looking Cougar with a built Cobra 4.6 now displacing 5 liters. He'll be running it at Road America this year! 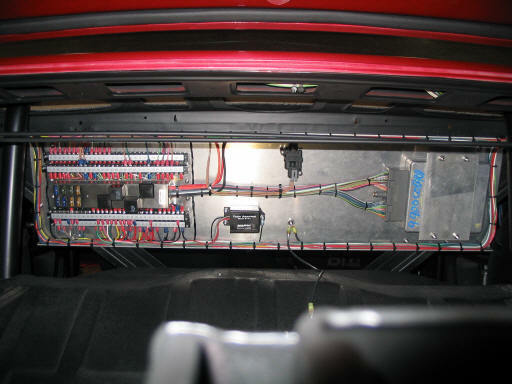 Herb made a very clean install with the electronics mounted under the package tray in the trunk. We got to catch up with several customers at the Richmond 2006 NSRA show. Here is Russell Wade's recently finished Coast to Coast car. Russell is running our LS-1 Telorvek system. He was able to locate the panel and ECM in the trunk. 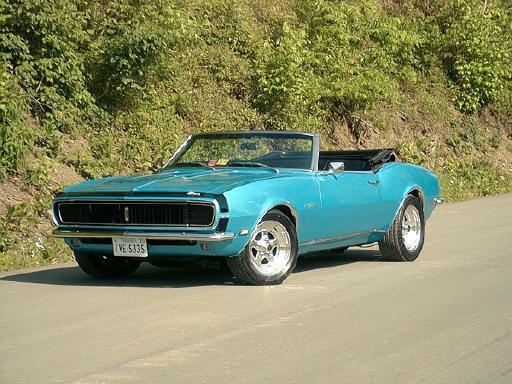 Pete Waydo of Reen Machine did the full treatment on this '67 Mustang Convertible. Pete tells us the 4.6 Cobra motor gets over 20 MPG. Pete created a false floor in the trunk making a convenient mounting location for the Telorvek panel and ECM. 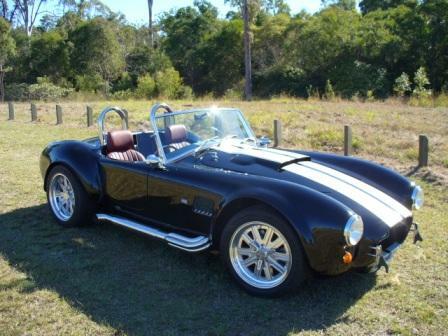 Rod Cure from "Down Under" sent us a couple shots of his DRB Cobra replica. 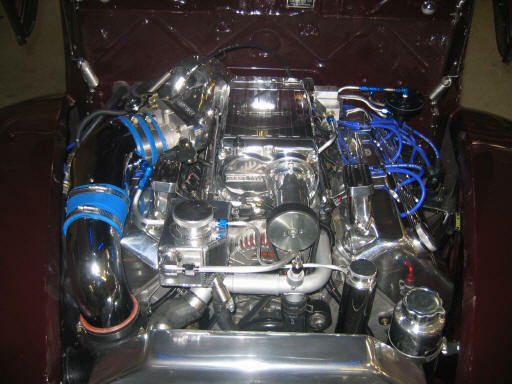 Rod used our Telorvek system to power his 4.6 build. 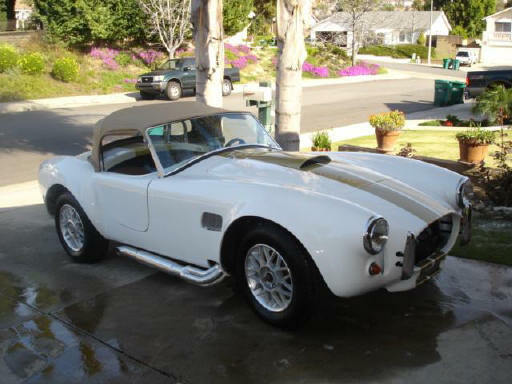 Another Australian enthusiast, Peter Fox, used our chip burning expertise for his Cobra replica. 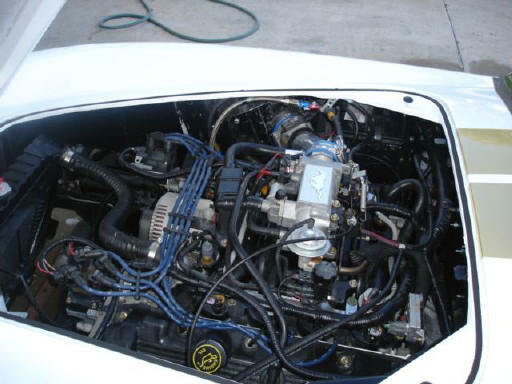 Peter is running a 2000 Cobra engine. Here is very nice 1938 Buick Convertible owned by Ben Thrash. 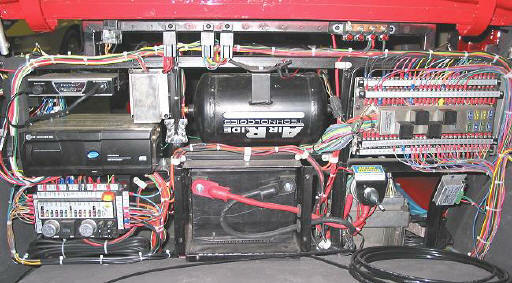 Ben has our system running his Chevy LT-1 and 4L60E. Dennis Bunton brought his award winning F-100 to the 2006 Richmond show. 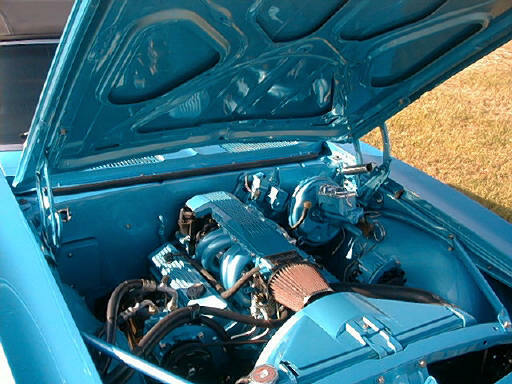 Dennis has our system powering his supercharged Lightning 5.4 motor and 4R100W trans. 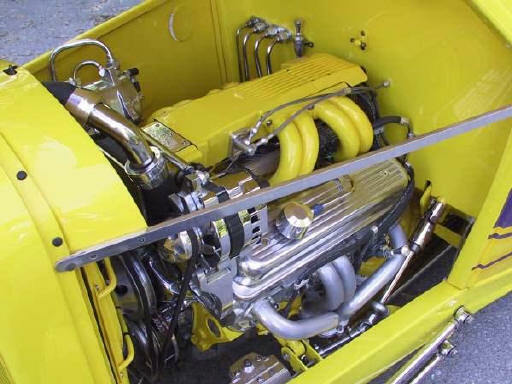 Canadian Rodder Frank Colgoni used our Telorvek system for his LS-1 powered coupe. Frank made a clean job of his wiring and mounted our fuel injection panel and other wiring components in an enclosure forward of the trunk. 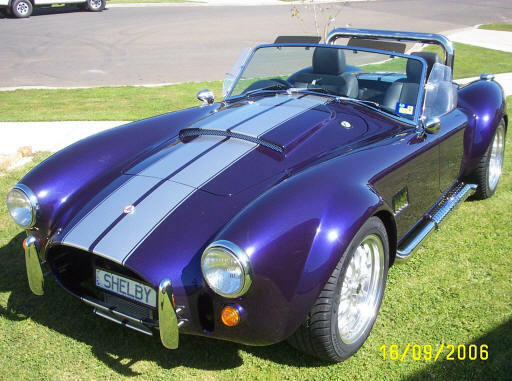 Joe Newton from Australia e-mailed us some great photos of his Cobra replica. Joe's using our wiring kit and ECM reprogram for his Cobra 32 Valve 4 Cammer. Steve's Auto Restoration (S.A.R.) 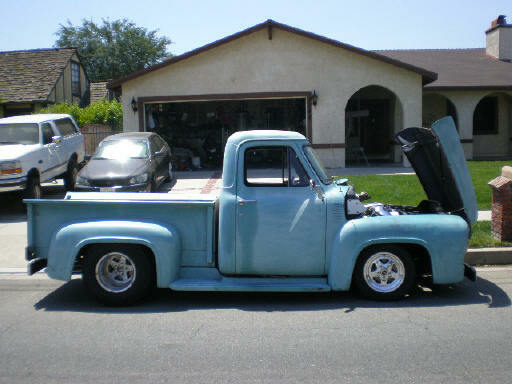 built this award winning 4.6 powered '57 Ford truck. Our system was mounted behind the seat covered by a leather covered panel. Very nice wire job! Almon Thompson brought his very straight '52 Chevy to Richmond. Almon's got our Telorvek system with the ECM mounted behind the seat. Check out the slick intake cover that houses the air cleaner. Roger Gunter put a late model Mustang GT 4.6 in his '75 F-250. His 9 MPG with the original 390 has jumped to an unbelievable 20 MPG with the 4.6! Roger mounted all of his electronics in a custom built compartment under the hood. Cort showed up at Louisville in 2005 with his recently completed Ford convertible. The shake down cruise was several hundred miles. Cort's Ford is powered by a 1998 Lincoln Mark 8 and 4R70W electronic transmission using our Telorvek system and ECM reprogramming. 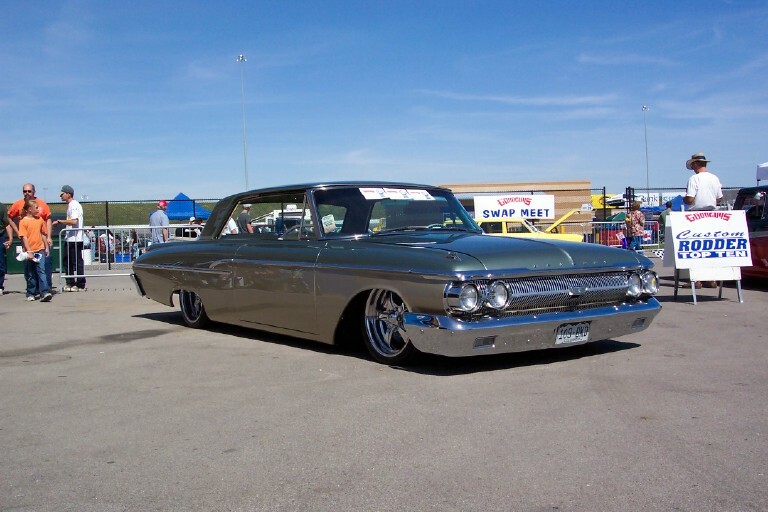 Tom Ulrich's '62 Merc Monterey made a big splash at the Kansas City Goodguys show pulling in several awards. Tom used our Telorvek system to wire up the 1993 Lincoln Mark VIII 4.6 and 4R70W transmission. Ida Automotive's 2004 SEMA F-150 Frightening project has our Telorvek system to handle the Twin Turbo 2000 Navigator 5.4 Mod Motor. Ida's project showed up at our York booth a few years back but is now making annual Bonneville visits. Bruce Kane's recently finished Cobra replica. Bruce's Cobra has a '96 Mustang GT 4.6 2V and 5 speed using our Telorvek system and custom ECM programming. 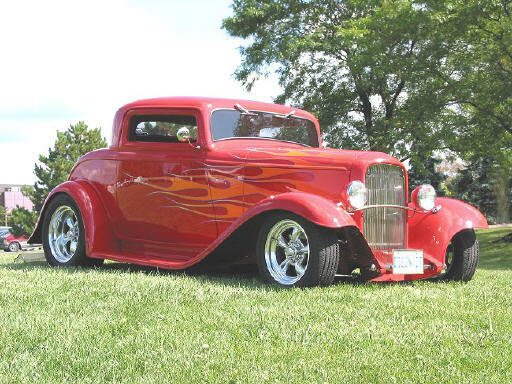 Rich King's classic Ford truck. Rich dropped in a 4.6 Cobra using one of our wiring kits and computer reprogram. Rich's installation looks as clean behind the seat as it does under the hood. 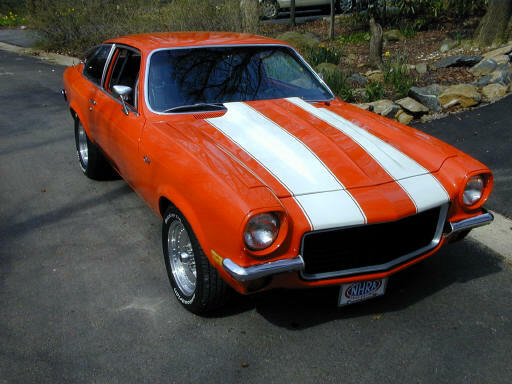 This is Franny Sharpless' 1972 Vega. We did some wire tweaking for Franny a while back. He just brought it by for us to see the finished project. We caught up to Bob Fisher at a local car show here in Wilmington, Delaware. His freshly finished Ford Woody is sharp. 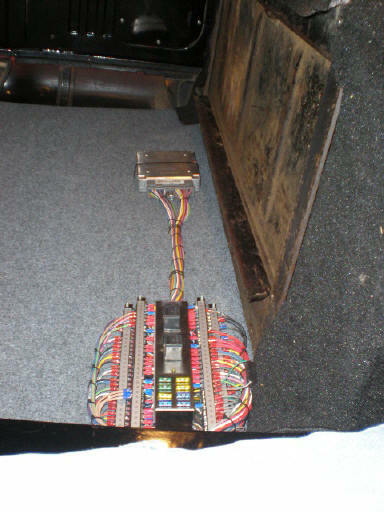 Bob used our speed density Ford 5.0 wiring which enabled him to mount the computer under the passenger seat. Customer Jim Fannin is still at the frame stage but we've hooked him up with a harness for the late model Dodge 4.7 V-8. Can't wait to see the finished product Jim! Brant down at Kikin Street Rods sent us a couple photos of their completed '32 Ford Roadster. The roadster enjoys our wiring for the LS-1 Corvette motor. Mark McClafferty helps us out at shows. His nice '68 Camaro currently sports a TPI unit on a 400 SB. Our Telorvek system enabled him to mount the ECM in the trunk. 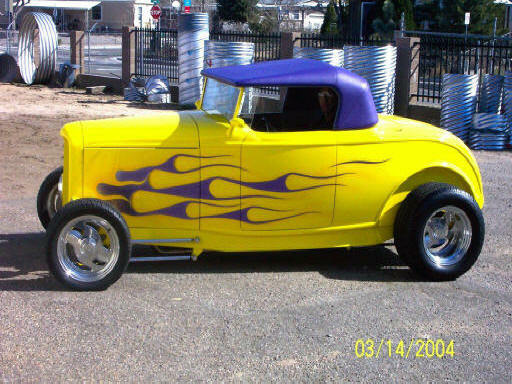 32 Ford Roadster owned by Ron Ginn of Albuquerque, NM. The Telorvek system is smooth running plus it allows you to run the wires where ever you want making for a clean installation. This is Gary Peterson's '59 Corvette. 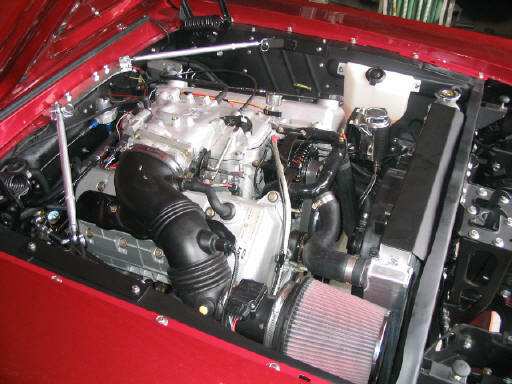 Gary's Vette sports a 350 TPI engine with our Telorvek system. 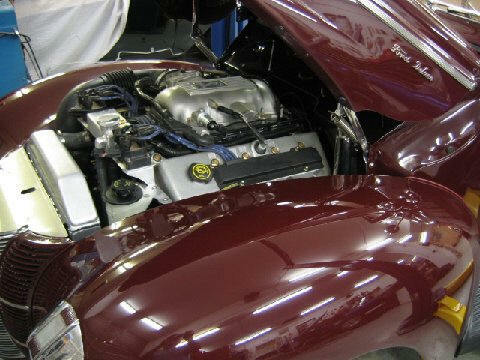 The guys at Hotrod Hardware in Reno Nevada stuffed a Ford Mustang Cobra 4.6 into a '40 Ford. Our system helped them wire up their tight fit. 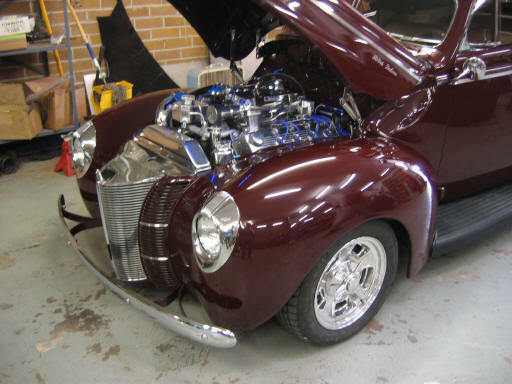 Hot Rod Hardware sent an updated photo of the '40 project. Note the polished engine accessories and the Kenne Bell blower. One more dramatic photo of the Hot Rod Hardware '40 Chevy.